While the previous generation was likely to work for the same company for the majority of their working life, now the average 20+ year old can expect to change jobs between 9 and 13 times. SSOE is an exception. It was recently named one of the Best Firms to Work For by Building Design and Construction magazine. Compare that to SSOE’s 2006 retention rate of 94% at a time when demand for engineers and architects exceeds supply. Being a model employer pays off. Studies show that attracting and keeping good people is not purely the result of a generous pay scale. SSOE’s approach clearly demonstrates the company understands that what employees value most varies from individual to individual. 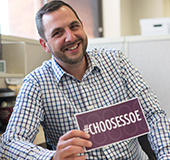 In addition to offering a broad, creative range of benefits, SSOE offers employees choices whenever feasible. The formal name for its holistic approach is Total Employment Value Proposition (EVP) and it addresses skill development, career progression, total compensation, total benefits and culture. 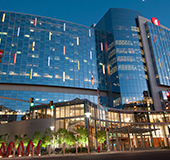 Training programs at SSOE could be subtitled “Above and beyond the norm.” In 2006 it spent 15% more than the national average for A/E firms based on information from ZweigWhite. And when employees perform “above and beyond” they can be awarded $500 (net) per nomination. Being recognized “in the moment” lets the person know that his or her individual effort was noticed and appreciated. When someone is promoted at SSOE, co-workers don’t question why. Positions at each level correspond to a clearly defined set of skills, requirements and expectations. If a technical person deserves to advance but does not want to be a manager, they can elect the “tech-path” program that was designed specifically for that. 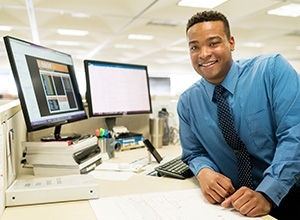 SSOE’s benefits plan is a design-your-own program. Employees receive a number of “credits” they are entitled to spend on various benefits that they choose. They can decide to buy and sell vacation time, apply unused credits toward additional life insurance or long-term care insurance, participate in a choice of three distinct health insurance plans, and contribute to a pre-tax flexible spending account for eligible expenses. 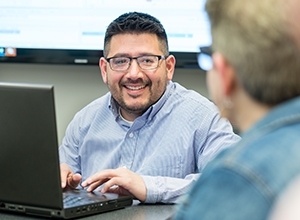 To help reduce the stress of the work environment, SSOE provides an in-house stress management program as well as health coaches through a Company-funded “Working Well” program. Participants start with a voluntary and confidential initial health assessment to identify risk factors and the need for lifestyle and disease management coaching. Lifestyle issues include tobacco cessation, improving fitness and managing weight. Disease management addresses asthma, diabetes and coronary artery disease among others. In addition, SSOE provides other preventative health benefits including free flu shots and lunch and learns on health insurance. Progressive companies realize that strict 9 to 5 attendance expectations can be counterproductive. 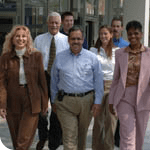 SSOE operates on modified flex time, allows employees to accumulate and take paid time off by the hour, and has adopted creative staffing approaches such as part-time status, special part-time status for retirees or parents who desire to work on an as-needed basis and telecommuting. The emphasis is on how people perform more than where or when. 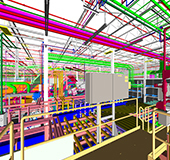 Long-term clients consistently point to the continuity of the project team as a benefit of working with SSOE. Firms with a high turnover rate have no choice but to send fresh faces to these clients who have to deal with the obvious inefficiencies caused by repeating the learning curve. Clients want to work with top notch professionals and those professionals have multiple employment opportunities. Young, promising college grads as well as seasoned experts evaluate the firm’s perks and benefits and readily change camps if the work environment doesn’t measure up. 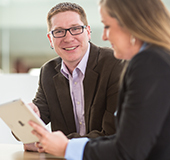 By doing what it takes to earn the designation as one of the Best Firms to Work For, SSOE can offer clients the best people to work with.